Last week, I wrote what I considered a “controversial case study” on expired domains; but as it turns out, everyone seemed pretty supportive! The controversial part was really in the fact that I discussed the potential to link from these expired/reclaimed domains to your other existing niche sites. This is definitely not a “white hat” SEO tactic; but neither is most other types of link building. However, what I wanted to focus on today was how these expired domains can be monetized other than using them as a link building tool (although that's certainly a way). In fact, I closed my last post out with the question: Where can I sell these domains? I really didn't know at that time. Well, after doing some research and seeing some results, I have 7 ideas of where to either sell the domains or monetize them in other ways. 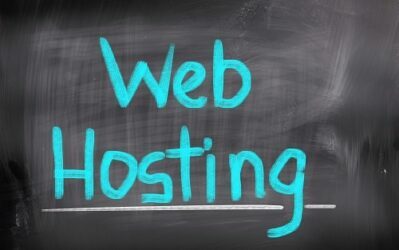 After doing a bit of research, I found several webmaster forums that have an active market place for buying and selling domains – especially those with PageRank. Some of these forums include: Digital Point Forums, DNForum.com, and TrafficPlanet.com. I'm sure there are many other good forums where you can sell domains as well. In addition, there are established marketplaces like GoDaddy Auctions and Sedo.com. As an experiment last week, I listed one of my PageRank 3 domains on GoDaddy Auctions. This was an expired domain that I found a couple of weeks ago and had purchased for less than $10. I put the minimum bid price at $47 to see what would happen. This domain had wordpress installed, but no content whatsoever. And guess what? The domain sold for my $47 list price! I was a bit surprised because this was not a cool domain name either, it was just someone's name; like, john-doe.com. That's it. So, I made a quick flip of almost 5 times my investment. Not too bad. Now imagine doing this hundreds or thousands of times every month! I could also quickly sell my domains here on my blog. If you have a blog in the online marketing space, you could potentially do the same. I started thinking about this after my last post. I listed 10 domains as an example of the types of expired domains I was looking at. I mentioned that I hadn't had a chance to analyze the back links of these to see if they were spammy or even worth buying. However, within 2 hours all of those domains had been purchased! I was really surprised to see how quickly these were picked up by readers of my blog. So, yes, the wheels are turning on the fact that I could simply list the expired domains with PageRank that I have found on my site and probably sell them very quickly. I may test the waters in the near future…we'll see. In addition, I received a few emails from people interested in buying my PR 3 and 4 domains. I received offers between $30 and $50. So, the market appears to be there for me to turn around and sell these domains at a profit pretty easily. Maybe you could do the same on your blog? I had written off selling these domains on Flippa because they charge $29 just to list your site! However, if you were able to package a dozen or so domains together, you could potentially sell them at a price worth the fees. If you could sell 10 domains at an average price of $40 – that's $400. This would cover the Flippa fees and leave enough profit to still make it a good business. And this is on the low end for sure. You could probably list 20 or 30 domains together and spread out the costs much better. So, if you don't have your own blog or audience to sell to, you can potentially still go the Flippa route. Another way to monetize expired domains is by selling links. Again, this is perhaps on the controversial side, but its a big business. You can sell links on forums or other places, but one of the most established link marketplaces is Text-Link-Ads. I haven't sold any links yet, but I'm close to testing this out. I have a site approved on the system and will likely be getting buyers very soon. Again, this is more of an experiment at this point – not sure how far I will take it. However, the potential is big in selling links on Text Link Ads. A PR 3 site can easily bring in $20 to $30 a month, while a PR 4 site could top $50 a month. Higher page rank domains will bring in exponentially higher dollars. Imaging having several hundred PR 3 and 4 domains bringing in $20 to $50 a month…not bad. Now imagine taking a site that has been consistently earning $50 a month via text link ads, and flipping that domain! If you can pull in 20 times monthly earnings, that's $1,000 for a $10 investment in the domain. I'll let you think about the possibilities there for a while. Maybe flipping these types of monetized sites for 20 times earnings is not as easy, but some decent multiple is certainly doable. Another option for making money with these reclaimed domains, is to simply target a niche keyword and try to rank for that in Google. Ideally you can pick a keyword that is somehow related to the domain, but this is not essential. Lets say the domain John-Doe.com was a site for a financial planner. You could target any low competition financial term, even though its not specifically mentioned in the domain. Having an exact match domain is not critical. Because these sites already have links and authority, the content you place on these sites technically should be ranking better than content placed on sites without any links or authority. I personally haven't done this, but the idea is certainly an intriguing one. If you are able to find a domain that has a PageRank of 5 or 6, you have a valuable asset. Why not develop a high quality authority site and rank for lots of keywords? This is a route that I would like to pursue if I can find a domain that makes sense to do so with, and has lots of authority already. In this way, rather than spending years to build up the link profile of a brand new site, you can start ahead of the game! So, if you are planning on starting an authority site anyway, perhaps its worth considering starting that site on a domain that already has high quality links pointing to it. Finally, you can always just use the domains to link to your other niche sites. The focus of this post is not on this point, but it certainly is a way to monetize these domains, so it needed to make the list. This is a tried practice that is the basis for every blog network in existence out there. Blog networks continue to pop up (and probably always will), because it works. Some blog networks fail for various reasons, but if you have complete control over the domains, hosting, and link placements – you can make sure to do it right. Again, this is not something that Google is a fan of, but it is certainly a method for making money with expired domains. I haven't personally done this at this point, but many people do, and its definitely a way to get authoritative links pointing to your sites. Overall, the more I look into finding expired domains, the more ways I am finding to potentially monetize them. So far, I've sold just one domain – but I've only put 1 domain up for sale. I've also received offers from blog readers, and I see lots of other potential ways of using these domains. How far I go down this road, I don't know – but I'm definitely exploring options right now. 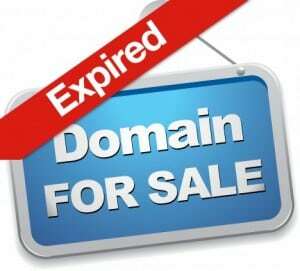 What do you think of these 7 ways to monetize expired domains? Do you have any other business models to add? If you have had any experience with this business, I would love to hear your thoughts. #1 – Content for the domain – If for some reason the website has not been archived into archive.org, how do I know what web pages I need to add to the new domain to ensure the old links continue to be valid ? What tool do I use to find the incoming links to the domain ? #2 – Do you use private registration on the domains so google isn’t aware of the change to the domain ? #1 – I use Open Site Explorer to find the links for the most part. I don’t think you should try to recreate the domain from Archive.org – pick your own keywords. The point is to take the existing authority of the domain itself – not trying to recreate what was once there. #2 – Yes, this is a good idea. Like Spencer said, check out the links on OSE. Filter to [External] and [Only Pages on this Root Domain] and choose the first 5 or so links (don’t include spam or directories ofc). Run each of them through GAKT a few times and you should have a list of at least a couple hundred keywords. Follow Hayden’s keyword competition vids to look at CMI. I have been buying expired domains for almost 3 years, and would make them in to link directories and sell featured links. I was doing 5 figures a month with that little side business. Of course, not long after the evil G shut down my adsense account, they then came out with the evil Penguin update, which killed off much of the “SEO” company link submissions. Important thoughts Kevin. There are lots of risks if someone decides to get involved in this. However, as mentioned there are several ways to still monetize these outside of Adsense and SEO (first 4 ways). Monetizing with text link ads seems to be an interesting approach. As long as you’re using a system that’s fairly automatic when it comes to monetization I think that could be a strong strategy…using AdSense as filler until someone takes over that site with a text link. I hear what you’re saying about blog networks…but it’s pretty easy for that house of cards to blow up in your face…we’ve seen it happen to a few of our friends…ouch! Hey Justin – I definitely hear you with the blog networks. Its no guarantee – and is like a house of cards. In addition, in order to do it right, you have to be quite advanced and is well beyond the average person. Great post Spencer, you certainly lifted my spirit a bit after I got stuck with 6 PR 3 domains I hunted down on a surge of enthusiasm that Hayden injected. 1. does it count how many pages of content you have? Can you rake in 20-30$ for a site with 5 pages of unique and well-written content? 2. are entry requirements hard to pass? Do you need Alexa Rank, some social signals, etc. to make your site less of an obvious link cow? Michallo – As mentioned, I’m new to TLA myself. But I think 5 pages is sufficient. 2. You have to have at least a PR 3 domain. That’s it. Yes – just a couple of things from a long time TLA member. #1 – Your site must have all original content. They will not accept a site (or will even cancel your site if you add it later after being accepted) with duplicate content. 5 pages may be enough, but the more the better, and longer 500+ word articles are better. #2 – Just because you are accepted does not mean you will sell links. Certain niches do much better than others. Hey thanks for the info on TLA. This may seem like a stupid question, but are the links just blogroll links or are they contextual? 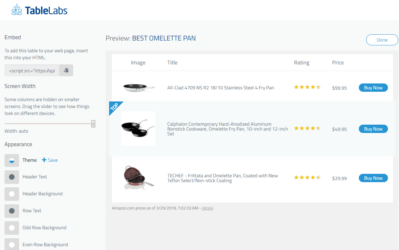 You can choose to sell either blogroll or contextual links. 1 more quick question – what is a good domain authority & page authority ranking on open site explorer ? Domain MozRank is a better metric to look at. Over 3.0 is very good. Do I need to set up the domains on different ip’s in order to sell tekstlinks? Thanks for the tips, some interesting ideas. Picking a method really depends on the domain in my experience. I’ve had good results picking up a few domains in the same niche, setting up an affiliate site on the strongest domain and creating links to that site on the less valuable ones. Really enjoyed the podcasts too, keep it up! You forgot about 301 redirection! This is a great way to give a new domain instant credibility. 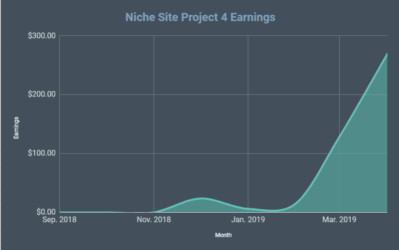 Although I wouldn’t advise doing it for every new niche site, it might be good for a new authority site, or a niche site that needs a little extra boost (helpful when all your competition are aged and established). The disadvantage, of course, is that you can only do this once. While, with Hayden’s method, you can use the previously-expired domain to link to hundreds of you sites. Yes, 301 redirection can also be a great way…thanks for mentioning. 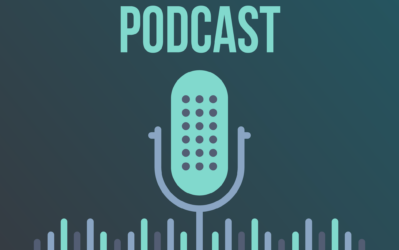 Spencer from the list selling links seems like a good option but I know from your podcast that Hayden started off selling links and moved to the niche business. Any idea why? The niche business is seeming like a lot of work complexity and moving parts for ok income. I could use a little less complexity in my business. I am huge supporter of method #7 and doing it right. There is low risk for the sites to be de-indexed if the expired domain site is built/run with care. If your goal is to make money with an expired domain another metric to look at when getting the domain is its Alexa rank…picking up a site that has traffic from day 1 is a great help. Great advice Jon, thanks for sharing. Lots of great ways to make money where you don’t really need to rely on Google search traffic. Always good to diversify your income online. Great post Spencer I’ll be digging into this much further. I was wondering one thing. With TLA can you only sell one link for site you own? Too funny. I think you must be the confused one. First, I still build niche sites. Second, this is directly connected to niche sites. And finally this site is not just about niche sites, its about niche pursuits. Perhaps you should re-read the about page in case you have forgotten what a niche pursuit is (hint – its not niche sites). haha, I just kidding so please never mind, I am for sure understand nichepursuits is not only building niche sites. 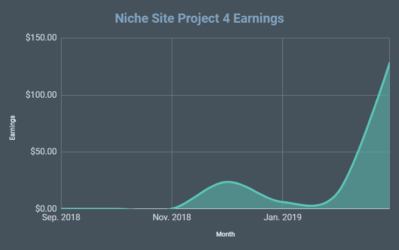 but seriously I recently built several nichesites for adsense, but it is definitely harder to rank after penguin, so I hope you can launch some discussions on this topic in future. Thanks Spencer for this inspiring post. I believe that the market for Aged and High PR domains is huge and largely untapped. Great info Spencer. A couple of quick questions. First, I followed Hayden’s process for finding expired domains and found about 10 PR3 & higher, when do they typically go to PR3? After you add wordpress or content? I have a number of sites that I thought would be PR3 & higher, but once I add wordpress, they still show as a zero. Also, I bought your niche theme, can I email you directly for a quick question on that? I just install wordpress with no content. It takes about 4 or 5 days for the PR to update. If the PR doesn’t update after a week or so, then unfortunately it means the site is not a PR3 or higher like you thought. Submit a support ticket for the theme. Thanks. Thanks Spencer, really love your blog! First, thank you so much for what you do: your blog is fantastic, and this post (and the last) are great. Timing was perfect given I’m in the same boat – trying to determine what to do now with a handful of PR 3 and 4 sites acquired using Hayden’s approaches. One comment re PR realization – I registered my domains, installing wordpress and a couple of basic pages (contact and about) – and found that my sites were quickly indexed, but did not update PR at all for several weeks (frustrating). But when the Google toolbar page rank was officially updated a few weeks ago, my sites instantly updated PR. Does this mean this domain is useless for backlinking? It is a rather promising domain besides that. Thanks for posting this great article! After hearing the podcasts with Hayden I ran the same experiment, except I must be incompetent. I purchased http://www.calnaturephoto.com which has a mozRank of 3.47 and a mozTrust of 5.06. Put it up on Sedo, then a godaddy auction; just relisted it today on godaddy auctions. No bids so far. Not sure what I’m doing wrong. Looks like your domains page rank hasn’t come back yet. For some reason, a small percentage of expired domains have their page rank returned straight away on registration, which I’m guessing happened to Spencer’s one. For the rest, you have to wait until Googles next Tool Bar Page Rank update for the page rank to return, assuming the links are all still there by then. So in the next pr toolbar update, this domain should turn into a least a PR 3, based on the above PRs pointing to it. The PR 5 link alone should probably do it. The only thing i see negative is that PR 5 has over 300 Outbound links, not sure if you would still get the full link juice. I have been looking at godaddy auctions. I do not see any of them list the page rank. Did you just list yours and whoever bought it just figured out its value on their own? I am just wondering how to set apart a listing from the 1,000’s of other listings on there? I believe people can download a large list of domains from the go daddy site and then run them through a bulk page rank checker. Not done this myself but read about it from people who have. In the notes of the listing, I did put the PR etc – but this only shows up if people click on the notes specifically. My guess is that somebody’s tool scrapes the Godaddy auctions and looks for PR domains. That’s probably how they found me. Did you do anything beyond a basic listing on Godaddy.com to earn the $47 sale? No, I didn’t. In the notes of the listing, I did put the PR etc – but this only shows up if people click on the notes specifically. My guess is that somebody’s tool scrapes the Godaddy auctions and looks for PR domains. That’s probably how they found me. Which is the best place to market or sell the domain name? point out results. And “do you ever think” means “would you get involved again in the relationship, even though you ended it. Overall, it is often an incredible experience and I am creating a many more money than I was to start with (in addition, you can find links to reliable cam sites after this information). Very good tips and is an excellent article. Keep it up, cheers! I didn’t pay for any extras. are doing the appropriate things as being a driver you simply will not get one. to get additional insurance after a cancellation. burning off one of the most critical privileges out there. Thanks for the tips shared by means of your blog. such exact about my problem. You’re incredible! Thanks! Probably the fastest way to earn money with expired domains is text links. Quick and easy. Thanks for the great info!